SAJAforum: UK: BBC Asian Network on the Chopping Block? When the BBC Asian Network was launched back in 2002 as a nationwide digital radio station throughout Britain, the BBC’s then-radio director, Jenny Abramsky, called it “one of the most important things the BBC has ever done.” Since then, the Asian Network has developed a loyal following, both in Britain and, via the internet, around the world. In recent weeks, human rights violations in India have slowly been seeping into the mainstream Western consciousness — and not just because of Sergeant Srinivas. A flurry of media stories and human rights reports draws attention not only to particular extrajudicial killings, disappearances, and incidents involving torture at the hands of Indian police and security forces, but also to the prospect that such incidents may be part of more systematic patterns of abuse than is typically assumed. In 1993, the last time I was in Washington to attend a presidential inauguration, Representatives Robert Matsui and Norman Mineta cohosted the first significant Asian American reception in connection with any U.S. presidential inauguration. While some attendees had mixed feelings, since by then it had become clear that President Clinton’s initial round of cabinet nominees would not include any Asian Americans, there was nevertheless a sense that the Asian American community had marked an important political milestone. President-elect Barack Obama‘s selection of conservative fundamentalist minister Rick Warren, who supported California’s Proposition 8 in last month’s elections, to deliver the invocation at the presidential inauguration has caused many of Obama’s progressive supporters to feel a sense of “betrayal,” as Neil Buchanan has written at Dorf on Law. Singer, songwriter, and Prop 8 opponent Melissa Etheridge, who is openly lesbian and has been a longtime activist for gay rights and other progressive causes, had much the same initial reaction. While she had never previously heard of Warren, she wondered whether Warren was a “hate spouting, money grabbing, bad hair televangelist like all the others,” and whether she should boycott the inauguration on account of his selection. We’ve previously noted the Guardian‘s observation of a disconnect in coverage of last month’s terrorist attacks in Bombay, between “headlines of wealthy westerners fleeing Mumbai’s terror frontline” and “ordinary Indians who bore the brunt of the bloody attack[s].” This week, a handful of articles explore similar themes, this time concerning media and public responses to the attacks within India itself. This weekend, The Guardian reminded us that “[b]ehind the headlines of wealthy westerners fleeing Mumbai’s terror frontline, it was ordinary Indians who bore the brunt of the bloody attack[s]” in India’s financial and cultural capital this past week. Those same headlines might easily lead one to conclude that the Bombay attacks are significant only or primarily for their geopolitical, economic, and personal consequences for people in the West. 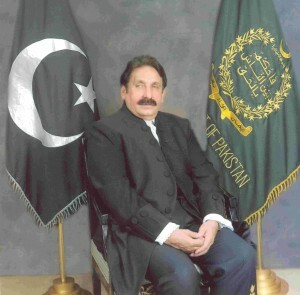 On Monday, November 17, 2008, Pakistan’s ousted Chief Justice, Iftikhar Muhammad Chaudhry, will be in New York to speak at the New York City Bar Association and to accept an Honorary Membership, which is one of the Association’s highest honors. The invitation to receive the award was originally extended to Chaudhry in October 2007, following a unanimous recommendation by the Association’s honors committee a month earlier, but Chaudhry was unable to come to New York to accept the award, since he was detained for several months under house arrest after General Pervez Musharraf’s extraconstitutional suspension of the Pakistan Constitution in November 2007. The New York City Bar ultimately conferred the award in absentia in January 2008, breaking with the Association’s longstanding policy requiring honorees to accept the recognition in person. One year ago today, Pakistan’s former President and Chief of Army Staff Pervez Musharraf imposed an extraconstitutional “state of emergency,” which his critics described as a full-scale, martial law crackdown. To refresh your recollections, have a look at last year’s SAJAforum posts on both the imposition of emergency rule itself and the world’s reactions.